Black babies don’t come from white people. Except this one just did. At least that’s what Jen (Sarah Butler) swears to her husband Tom (Will McFadden), and he says he believes her. Tom’s doubts and worst fears begin to take hold. Both new parents are scared by the thoughts entering their minds, and they’re scared to share them with each other. 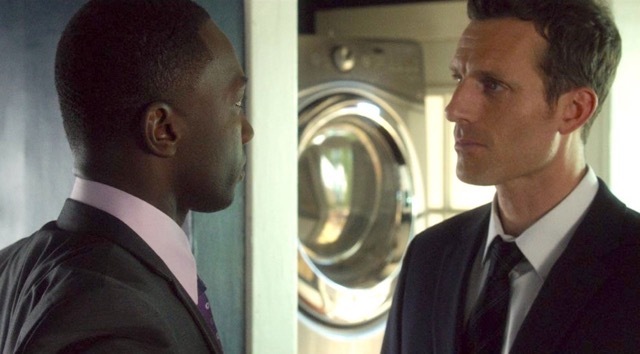 Baby Liam seems to love their dear friend Ron (Jamie Hector) – why is it suddenly harder for Tom? And why do people keep confusing Ron for Liam’s father? Maybe because they’re both black. By the time a twist is revealed that could explain the baby’s appearance, it may be too late. Before Tom and Jen can accept their child, they’ll have to accept themselves. Or face living their lives apart. June 12 at 7:15 p.m.